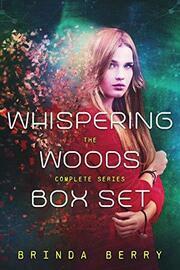 Join Mia as she journeys to discover the truth in Whispering Woods. This box set contains three full novels. 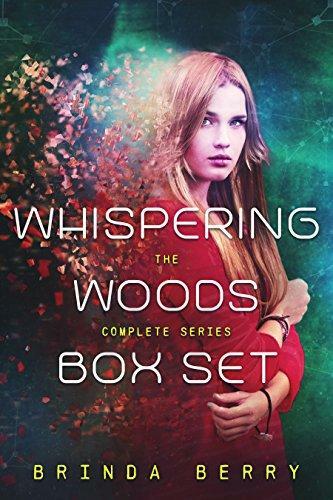 The Waiting Booth (Book 1): A missing boy, government agents, an interdimensional portal... Mia has one goal for her senior year at Whispering Woods High—find her missing older brother. But when her science project reveals a portal into another dimension, she learns that travelers are moving in and out of her woods in the most alarming way and government agents Regulus and Arizona are policing their immigration. Whisper of Memory (Book 2): Weapons training and winter formals… a deadly combination . All Mia ever wanted was to fit in at Whispering Woods High. But being a portal-finder who dates a guy from another dimension sort of makes it hard. Between learning about weaponry, finding the perfect dress for the winter formal, and catching bad guys, who has time to fit in? Watcher of Worlds (Book 3): Senior year should bring fun, friends, and happiness. Not portals, treachery, and murder. Seventeen-year-old Mia Taylor, gatekeeper to an interdimensional portal, wants nothing more than to heal from her romance gone wrong. Illegally falling for her co-worker Regulus had been a huge mistake. But when Regulus goes rogue to hunt down a murderer, Mia must forget her broken heart and use her unique abilities to save him.